As you may have seen on Instagram, this past Sunday marked the one-year anniversary of my engagement. My fiance and I spent the day registering for gifts at Bed Bath & Beyond, and I don't mean to complain, but it was exhausting. Luckily, we agreed on almost everything, but it was still difficult to think of what we really need to upgrade and how much of each item (e.g. dishes) would be reasonable. I also struggled with what was appropriate to put on a gift registry. Is our registry supposed to be strictly functional household items, or can I include a huge framed poster of Yosemite National Park? Your input would be appreciated! 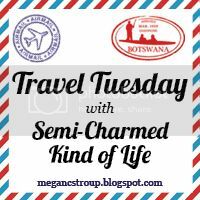 Link up with your travel-related posts below! Feel free to grab the button, too. Also linking up with Nicole for Treat Yo Self Thursday. 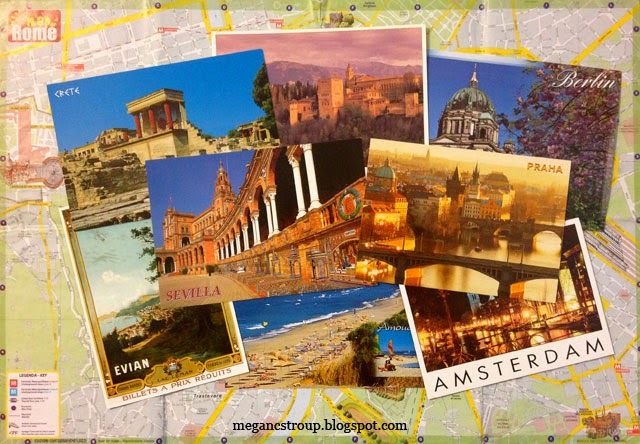 It's time to join Taylor, Christine and me (as this month's co-host!) 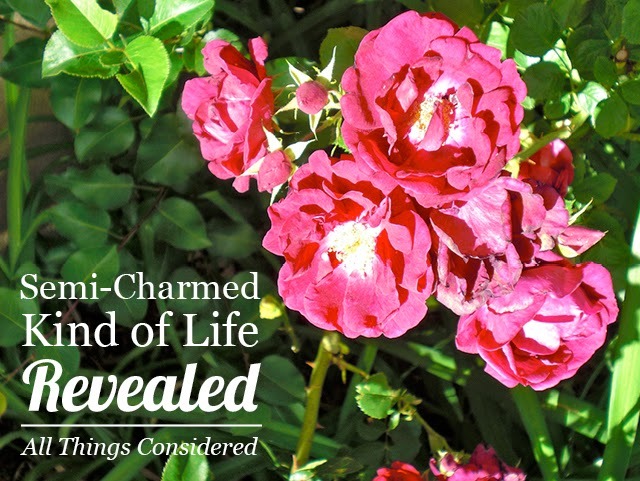 for the May edition of the Literary Junkies book club link-up! And if you've read Where'd You Go, Bernadette, be sure to join us at 7 p.m. CST tonight for our monthly book chat on Twitter. Or join our Facebook group. Or our Goodreads group. Or all of the above. :) Anywho, time to move on with this month's questions! Remember when I said I wasn't participating in any reading challenges this year? Except my own challenges? 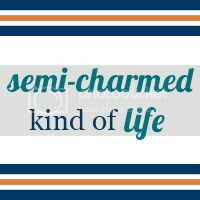 Of course, that means the Semi-Charmed Summer Book Challenge alone is not enough for me anymore. Kelsey from Keeping up with Kelsey contacted me about co-hosting a fun geographically based challenge with her, so how could I say no?? Hence, the 50 Books from 50 States Challenge is born. I actually started a "Where You've Been Reading" challenge a few years ago, but I knew I would never be able to read 50 books to fit the challenge in one year. Thankfully, Kelsey agrees, so this will be more of a long-term challenge. And, to help you out a little more, you are more than welcome to count any books you've read since 2012 until now for this challenge. 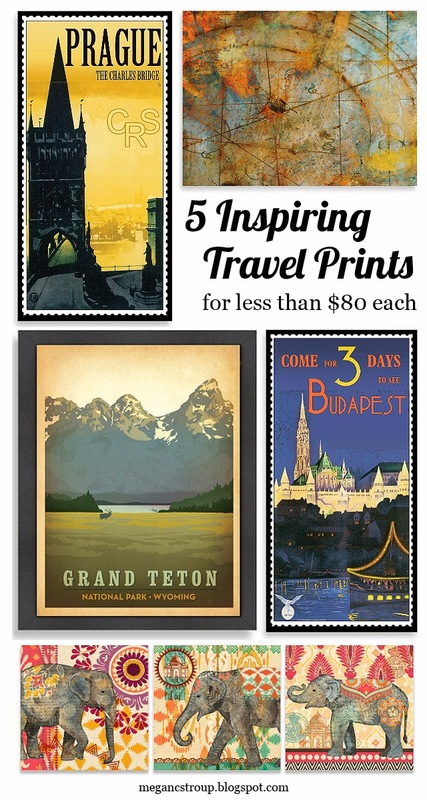 (It's harder than it sounds to read 50 books from 50 different states!) And, of course, double-dipping is always welcome! So feel free to count any books you're already reading/have read for other challenges. Here's a little map showing the books I have read since 2012 or plan to read for this challenge. Feel free to look at specific states for ideas if you need any, and let me know if you have any good ideas for states that I don't have a book assigned to yet (the red states)! Sound fun? Of course it does, and we'd love to have you! Continue reading below for the nitty-gritty of the challenge. A few weeks ago, I found a green-themed accessories swap opportunity on A Cute Angle. 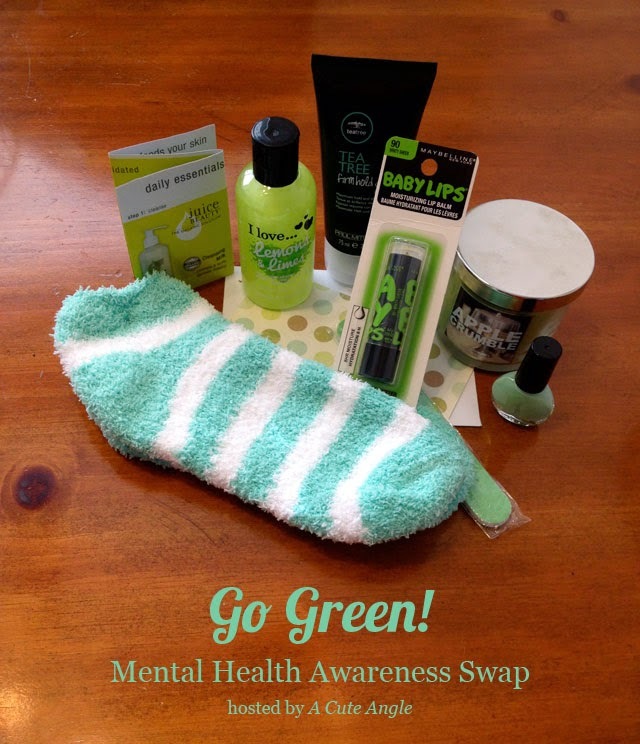 As if I wasn't already sold on the idea of getting a fun new green accessory, I then discovered Ashley was hosting the swap in honor of National Mental Health Awareness Month (May). 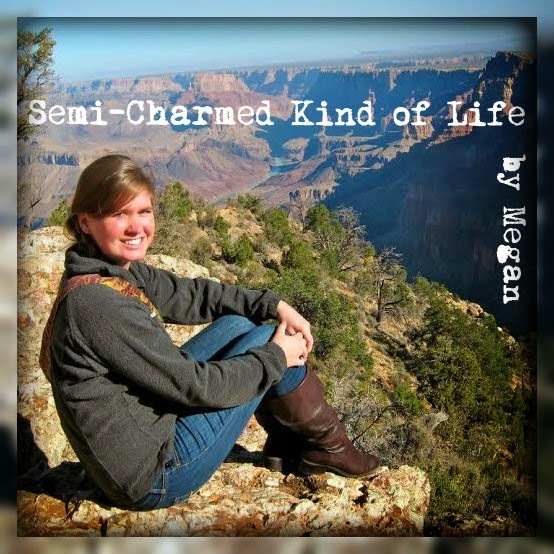 I was partnered with the fabulous Maddie over at The Whimsy One. It was so fun learning about Maddie through her blog (right off the bat, I discovered we are both huge bookworms) and shopping for some green goodies to send her way. As with any swap, though, the best part was opening my package and seeing what Maddie had picked for me! 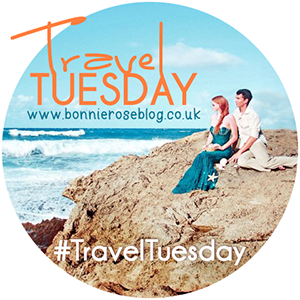 Welcome to Travel Tuesday, a weekly link-up for all things travel-related! 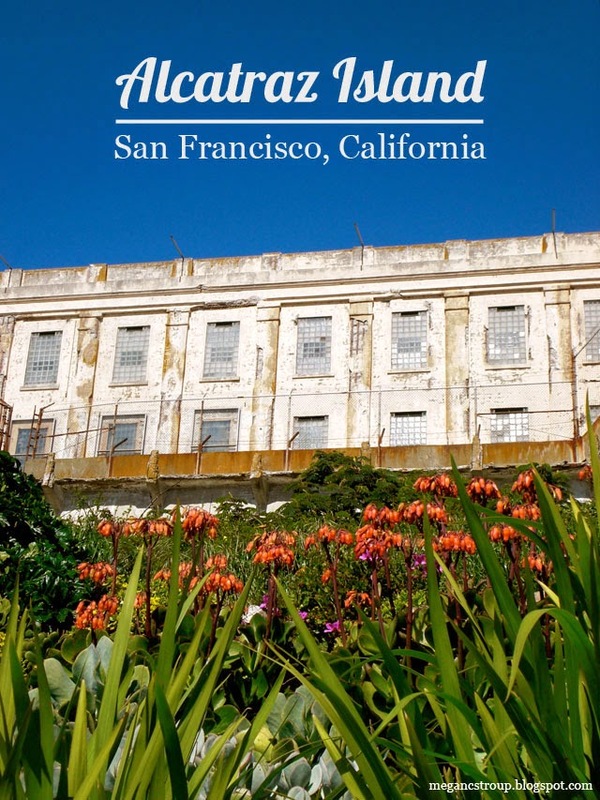 Last week, Carly posted about her visit to Alcatraz Island in San Francisco, which inspired me to dig through some old photos and share my experience, as well. Warning: This trip was taken during my pre-blogger life, when I didn't understand the importance of taking 27 photos of one detail in order to find the perfect shot, so pickings were slim!